Ford has announced that the 2017 Fusion V6 Sport is getting a cool advanced computer-controlled suspension system that uses internal sensors to tweak itself for the best ride possible. The car has 12 different sensors and can adjust the dampers in the blink of an eye. Not only can drivers choose between comfort and sport modes but the car can also sense potholes and help reduce the jarring discomfort that comes with hitting them. When the sensors detect a pothole, the dampers are adjusted to keep the wheel from falling as far into the hole. That in turn reduces the jarring when the wheel hits the other end of the hole. “The new Fusion V6 Sport substantially reduces the harsh impact potholes often deliver,” says Jason Michener, Ford continuously controlled damping engineering expert. 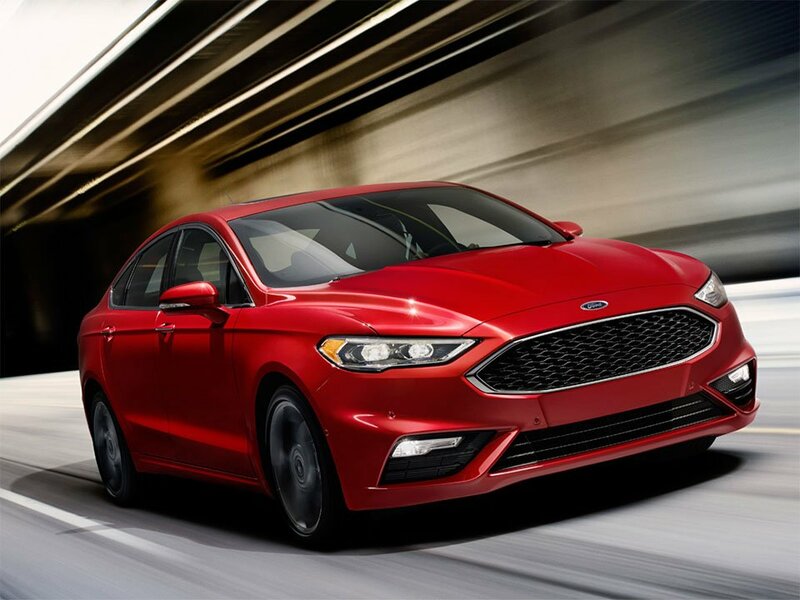 “Our new pothole mitigation technology works by actually detecting potholes and ‘catching’ the car’s wheel before it has a chance to drop all the way into the pothole.” The Fusion V6 Sport, its 2.7L EcoBoost V6 and its fancy suspension will land in dealerships this summer.